VPN One Click looks to be a good virtual private network company. Of course, you can�t always tell by just one glance but it does look to be offering something quite good. However, choosing the best VPN can be very tough but that is why you might want to consider choosing VPN One Click. First of all, VPN One Click is a new company, they have only been around since 2011 which means less than twelve months, however, it is not such a bad thing. Being a new company doesn�t mean it�s bad, it is actually a very good company. The Seychelles Company looks to be offering something good for what they are asking for in its prices. However, the company is going to be offering almost twelve different types of VPN to choose from but there are no money back guarantees on offer. This isn�t a bad thing but you might be a little disappointed with the fact that you are not getting any money back guarantees. You are going to be able to choose from VPN choices such as Russian, British, American, Italian, German, French, Canadian and many more choices also. VPN One Click does offer VPN protocols such as L2PT and PPTP which is good but there are not going to be many options for choices such as IPSec, SSL, SSTP and Open VPN. However, you are only getting one choice for IP Types which is Shared Dynamic but there are no other options for Shared, Shared Static or Dedicated IP types which aren�t as good as you would think but you might be disappointed a little. VPN One Click will be able to run with the Operating Systems such as Windows, Mac OS X, and Windows Vista and Windows 7. This is all very good as these are some of the most popular types of Operating Systems to choose from. However, when it comes to using this VPN with portable devices, you can run this with your Android devices, your Apple iPhone and the Ipad also. 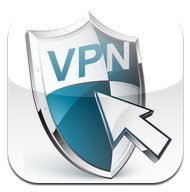 For two ninety nine a month, you are certainly going to be able to afford this VPN.